English side Arsenal is considering Celtic’s midfielder Victor Wanyama as a replacement for Cameroonian Alex Song who has emerged as a top transfer target for Spanish side Barcelona FC. According to reports by dailymail.co.uk, both Arsenal and Manchester United had sent scouts to watch Wanyama play against Finnish sideHJK Helsinki in their UEFA Champions League first-leg third round qualifier atCeltic Park on Wednesday night, where they won 2-1. The National also reported, Arsene Wanger is considering lodging an offer with Celtic for Wanyama as he prepares to add two more signings to his squad ahead of the coming season. Wanyama has been linked with a move to top English sides that include Manchester City, Chelsea, Liverpool, QPR, and Newcastle. 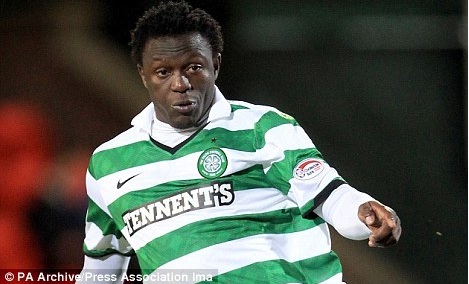 Celtic would part with the Kenyan international for around £ 7 million.